Growing up a cultural Jew, I inherently knew, early on, the importance of “culture.” Reading Oscar Lewis’s La Vida: A Puerto Rican Family in the Culture of Poverty in my freshman year in college gave me the academic affirmation of the extreme importance of culture. Now reading J.D. Vance’s Hillbilly Elegy affirms for me, yet again, that we ignore culture at our own peril. Given that I am not a therapist and this isn’t therapeutic blog, I’m actually not talking about the culture of family and heritage; rather, I’m talking about the cultures of our nonprofit organizations. I always tell nonprofits and boards that they have their own unique cultures. For the most part, I think these are words that few take in beyond the initial hearing, and even fewer mull them over once the hearing is done. So, I say again, we ignore those cultures at our own peril. My angst for the sector in this regard has been flamed by two coinciding ever-expanding phenomena: the competition for limited philanthropic dollars and the reality of nonprofit organizations accepting “good enough” as the acceptable, if not desired, end goal. You would have to be an ostrich, with your head buried deep in the sand, to not recognize the ever-growing competition in the nonprofit sector. While the numbers of nonprofits continue to increase at an alarming rate, available philanthropic dollars, from all sources, remain flat at best, diminishing at worse. Couple that with donors’ yet still deepening focus on a nonprofit’s documented impact, as opposed to just liking a nonprofit’s mission, and an organization’s culture—particularly the values of that culture—plays an important role in an organization’s success—or failure. An organization with a culture that sets the bar at “good enough” is a nonprofit at risk. Before you stop reading because, of course, your culture does not accept “good enough,” but rather always aims for excellence, I urge you to take an honest and thorough second look. Do you have employees who do just sufficient to get the job done, and have done so for quite some time? That’s good enough. How well is the board fulfilling its responsibilities, from fundraising to setting the direction, to providing knowing financial oversight, to being an ambassador for the organization? If it isn’t doing all of these really well (not to mention all of its other duties), it is just good enough. Are you offering programs and services that are not evaluated on a regular basis so that you have no idea whether they are fulfilling the outcomes they promise? Do you even know what the programs were designed to promise? If the answer to either or both of these is no, you have a culture of “good enough.” If you are happy with “but that’s how we have always done it,” that is, in spades, “good enough.” Seem familiar? 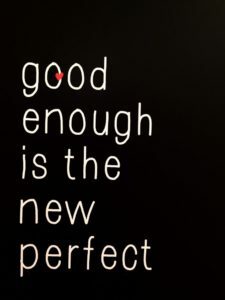 The truth is that too many organizations are quite content to do set the bar at “good enough.” In fact, “good enough” has become a happy cultural norm, embraced from the top of the organization—the board—to the bottom. Those who chafe at such a norm do one of two things, as anyone does who is unhappy with her/his cultural norms: either, they eventually stop fighting and sign onto the norm, or they see an alternative and they leave. But leaving is hard, unless it is done early on, as otherwise leaving involves giving up deep-seated learnings. As J.D. Vance repeatedly tells us, as did the many seminal works that looked at the influence of culture that came before him, you can take the hillbilly out of Kentucky but you can’t take the hillbilly out of the person. Eventually culture always comes out. 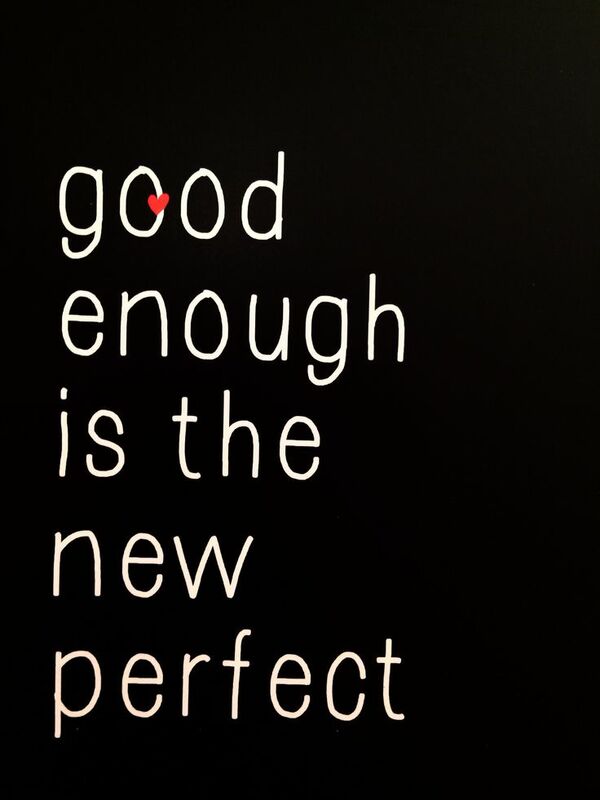 And while “good enough” may be acceptable within your organization and the organizations of many others, and it may have even been “good enough” for others, including funders, outside the organization, it no longer is going to cut it. As the competition within our sector continues to increase and the demand by donors to support only those organizations that are having provable impact addressing serious societal needs continues, organizations that spawn such “good enough” cultures of mediocrity will become a thing of the past. There is, however, still time to save such dying organizations, but only if they are willing to take a hard, honest look at themselves and dig deep to change the culture.